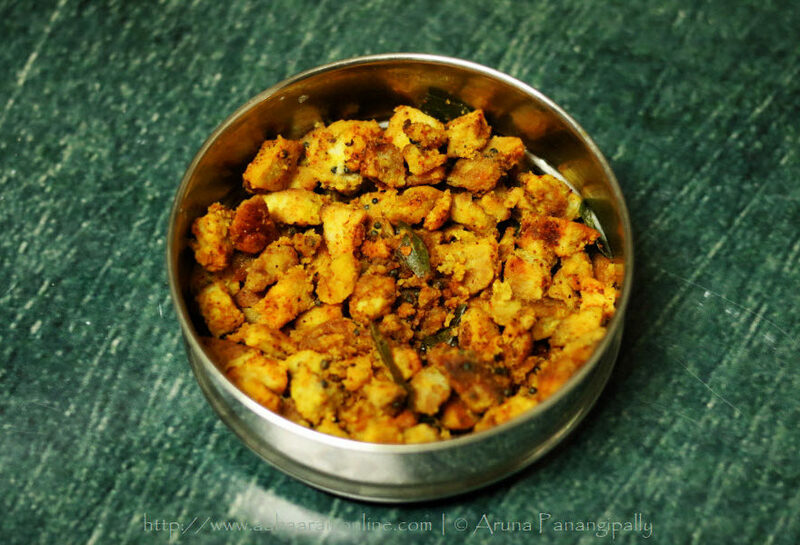 Cabbage Kura is Andhra’s version of the Muttaikose Poriyal, with the exception that we do not use coconut. 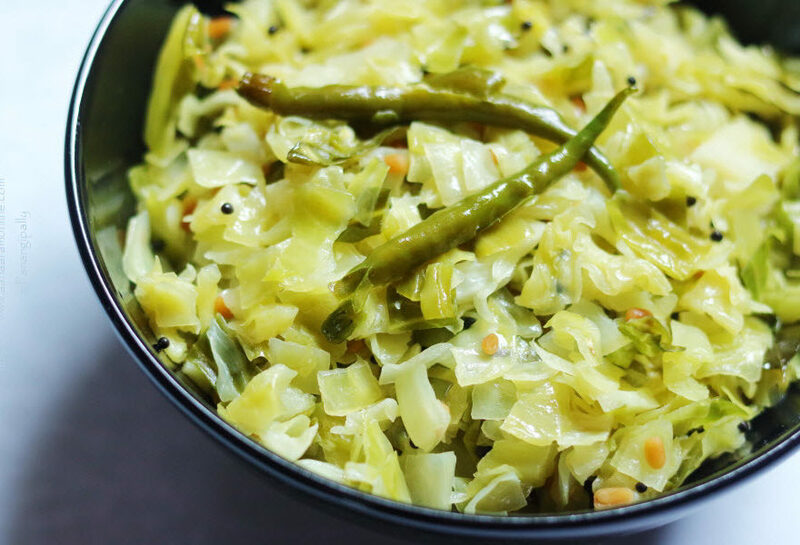 Cabbage Kura is an excellent accompaniment to Sambara Rice or even Curd Rice. 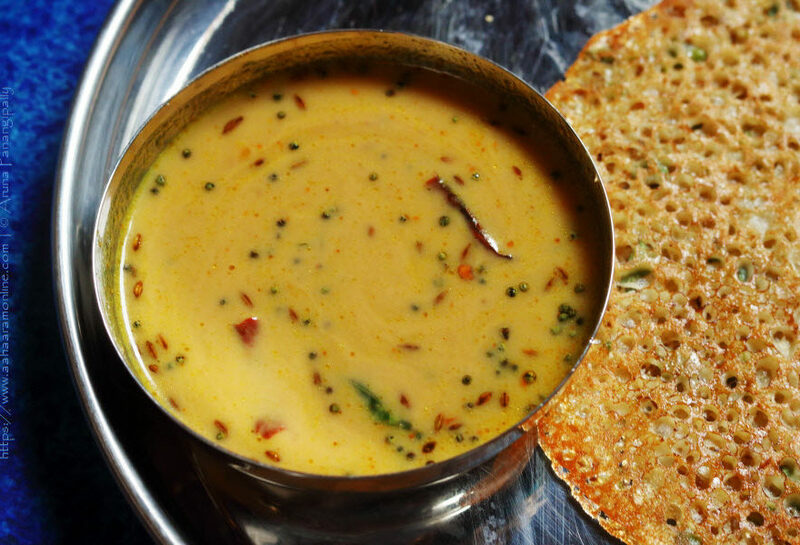 We Andhras are very fond of our Senaga Pindi Pachadi (Besan Chutney). 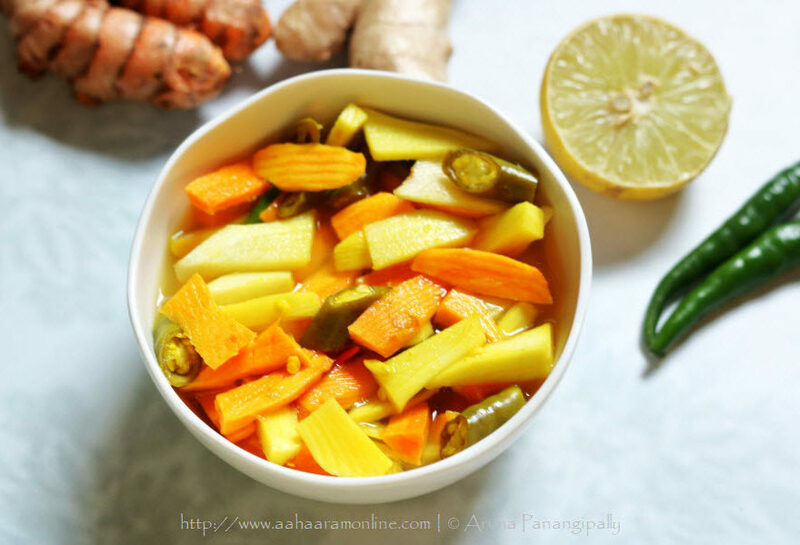 This version of Senaga Pindi Pachadi is THE accompaniment for Rava Dosa and Godhuma Dosa for me. Do try it and you will know why! 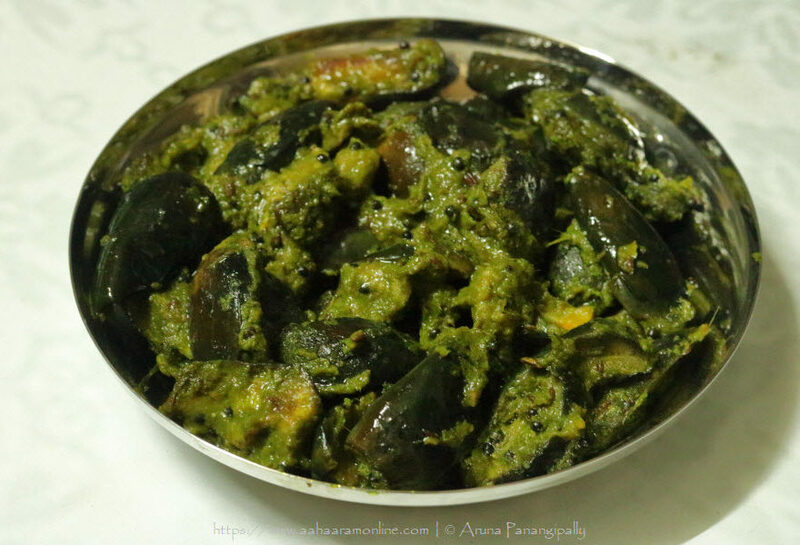 Vankaya Kothimeera Kharam is a traditional Andhra recipe for stir-fried brinjals flavoured with a coriander-green chilli-ginger paste. 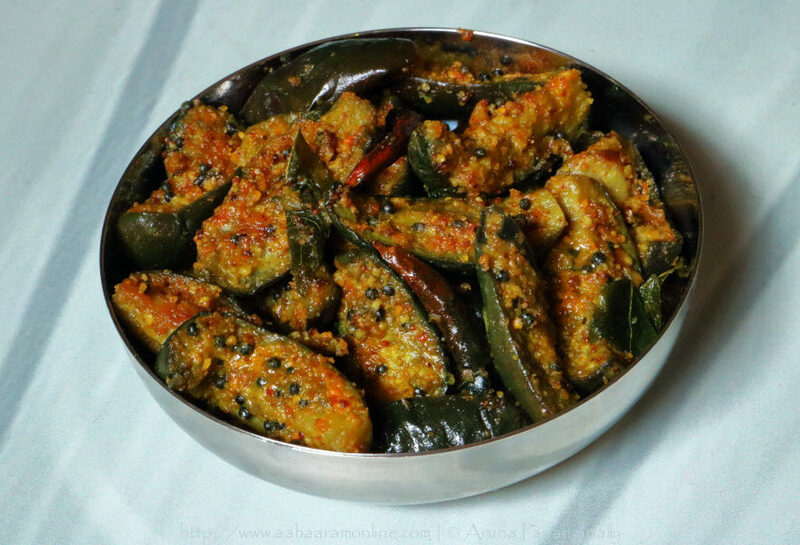 Menthi Podi Veysina Vankaya Kura is a Andhra-style Brinjal fry that is spiced with a fenugreek flavoured lentil powder. 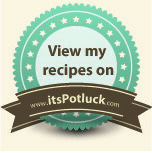 It tastes best with baby brinjals but can be made with thin, long, purple brinjals. The best part is that the stir-fry is that it gets done in about 30 minutes and is simply delicious.